Home › Uncategorized › September Updates! The last few weeks have been very busy for VCM! We recently received a large donation of items, including some nice IBM equipment that we have been wanting for a while. Many of the machines were beyond repair, but we were able to salvage some CPU’s and other needed parts. 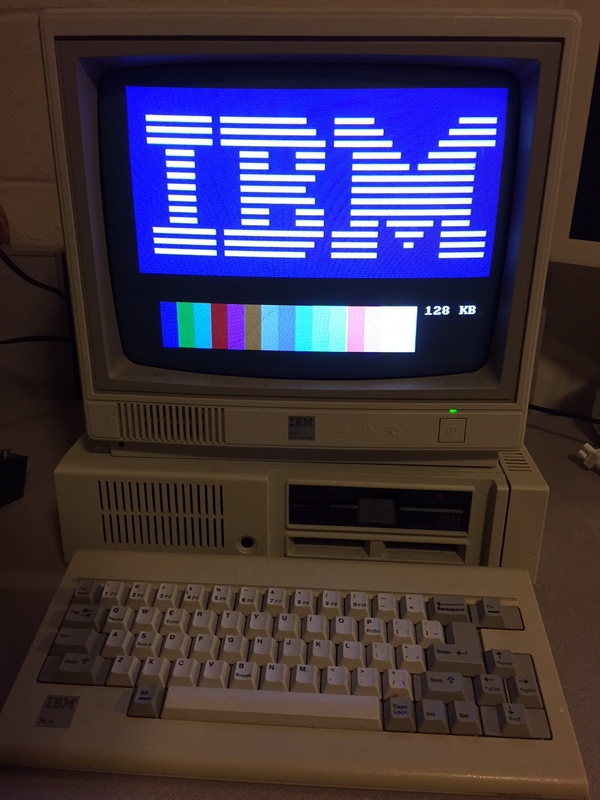 We were also able to restore an IBM 5153 monitor along with a complete IBM PS/2 model 30 with model M keyboard. Another recent project was the completion of the restoration of our beloved Commodore VIC-20. Thanks to an ebay seller who had the side panel we needed, the VIC has now been restored to original condition and thoroughly cleaned inside and out. We also began our CPU collection this month after going through lots of scrap motherboards and systems. While it does not quite fit with our desire for everything to be in working order, I felt that it was both appropriate and interesting to preserve examples of CPU and coprocessors. If for no other reason, the variety of pin configurations and size comparisons can be fascinating. Lastly, we now have a complete working Wyse-60 green screen terminal. This one has been on my list for a while as it is what I spent most of my college years typing on. So, this one was a bit of a personal nostalgia on my part, but as a common alternative to popular IBM and DEC terminals, it does hold it’s own in the history of serial terminals. Please explore our hardware collections for these and other updates, and as always thank you for your support! New! Explore our growing CPU Collection from 1980's-present day. Enjoy a random system from our collection!